Amazing product to take away with you! Usually chlorine & too much sun leaves my hair brittle and feeling like straw, but using the shampoo & conditioner kept my hair looking shiny & feeling soft! 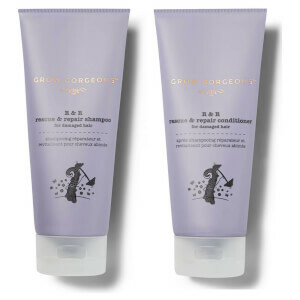 This shampoo along with the conditioner has made a real difference to my hair and the quality and condition of it. It feels stronger and shinier and the smell is amazing. Would recommend highly for anyone that needs some extra TLC! I have been using this new shampoo with the conditioner for about a month now and I can definitely see a difference! I use heat on my hair everyday and since using this shampoo my hair feels SO much healthier! The smell is incredible too! This has made such a difference! AMAZING PRODUCT. This immediately made my hair softer and shinier and i feel like it's improving the general feel long term. Big fan. I have been using the shampoo along with the conditioner for a couple of weeks and my hair feels and looks healthier. It's smoother, shinier and I am really happy with it. I will keep using it for longer to give it time to deliver full results. Also, it smells amazingly good and the texture is very pleasant. Been using this Shampoo for about 2 weeks now and really liking it. I know the price is a bit high in comparison to ones in the supermarket but I really think you can tell the difference in the quality of the product. It has such a nice long lasting smell! I have had so many comments on how nice my hair smell and its all down to this lovely product! All I can say is BUY BUY BUY! 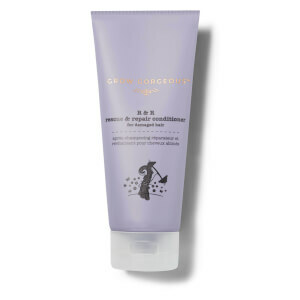 If you're looking something to fix your frazzled ends, this is definitely the shampoo for you. I use heat on my hair at least once a day whether it's straighteners, curlers or hair dryer I'm constantly damaging my hair with heat. Since using this product my hair feels so much healthier. Obviously I still have a few split ends as these won't dissapear until I cut my hair but it's already so much bouncier. I also have to wash my hair every day usually but I have only been doing it every two days with this and haven't had any issues :) Plus the smell is amazing and lasts all day! 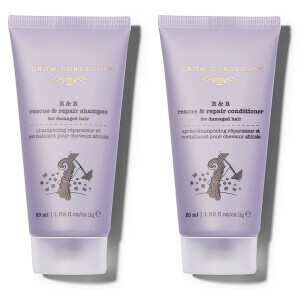 After having had amazing results with the hair growth serum, I was so excited to try the Repair Range as I have fluffy hair which definitely suffers from heat damage and frequent colouring. Honestly, the results have been amazing after just a few uses and the difference is visible PLUS it leaves my hair smelling incredible fresh all day long which I love. Definitely my new favourite products! Having curly hair, I really struggle to find a shampoo that doesn't leave my hair frizzy or make my curls really undefined. This is honestly the best shampoo I have used for my hair. Curls were super defined, looked really healthy (and not dry which is often the case after I wash it) and just fab. Have had compliments on how good my hair looks since using this, will 100% repurchase.